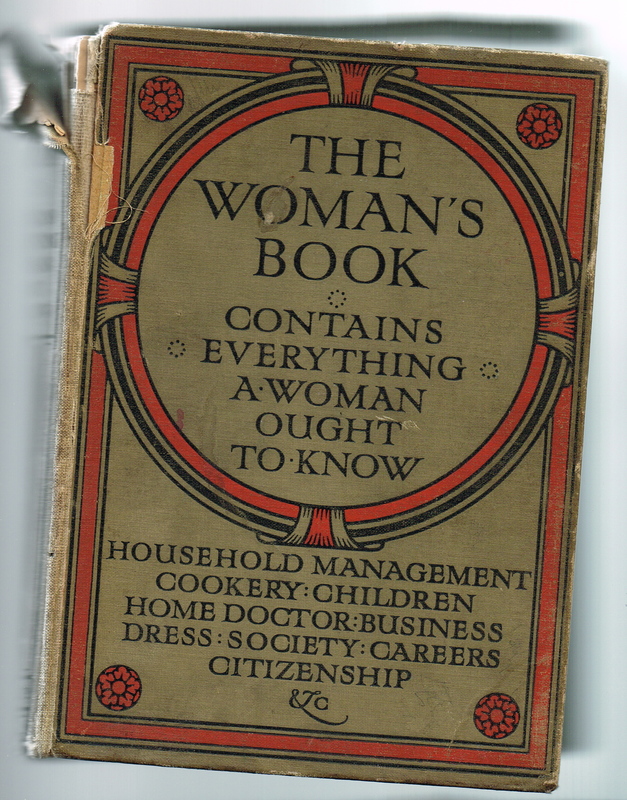 “The Woman’s Book” – claiming to contain “everything a woman should know.” An excellent, voluminous publication, filled with good common sense advice for recently married young ladies. It tells you everything from how to keep chickens to how to serve champagne. Things were different back then I suppose. The book possibly belonged to my Grandmother, who married in 1921. It seems strange to be buying such a book after six years of “wedded bliss” – but I have a hunch that it was Grandpa who bought this for his young wife – Grandpa George, by all accounts, was a traditional man with set views on how he should be looked after.